Australiance is recruiting for a fun, fast-paced, exciting company that lives to empower the outdoor advertising industry with cool, easy-to-use, innovative software tools, for a 6 months internship in Sydney starting in July 2019. 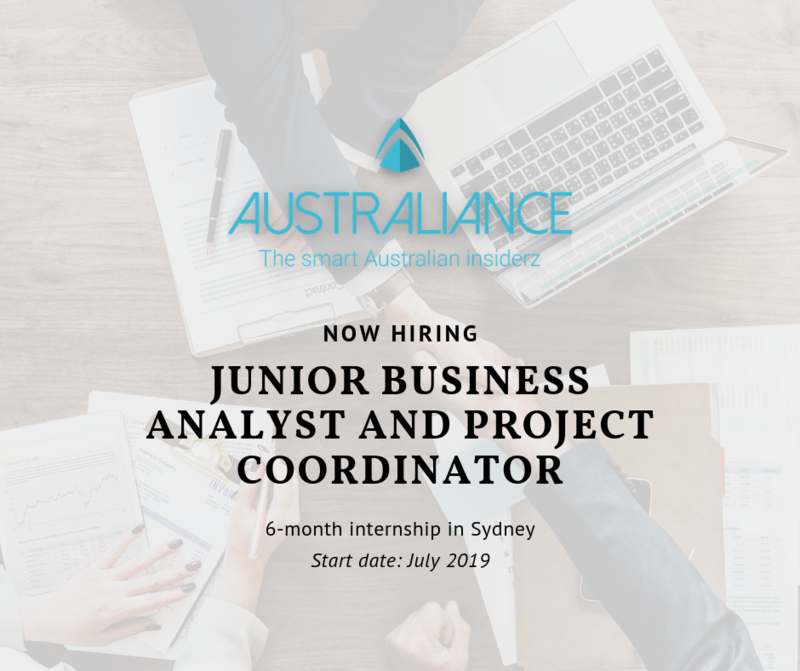 Our client is looking for a talented and dynamic “Junior Business Analyst and Project coordinator Intern” to join their fast-growing team in Sydney. Analyse and set-up an online documentation and help system for the company platform. (e.g: food, accommodation, travel) of AUD 2,000 per month. 6. We will assist you to come to Sydney so you can experience the services we offer to young professionals.